Delegates of the NGO committee read through each committee's draft resolution. As committees read through their draft resolutions, the non-governmental organizations (NGOs) shuffle through stacks containing copies from every General Assembly, Economic and Social Council, and Regional Bodies in order to check clauses pertinent to their group. This committee differs from any other in that they are not tackling a certain issue, rather they are providing specific aid to other bodies in order for their effect to be the most positive. Kristina Bruzgule, the current director, has worked on the NGO committee since her freshmen year at Harvard University, where she acted as assistant director, and has seen a number of delegates come through and experience the uniqueness of her commission. 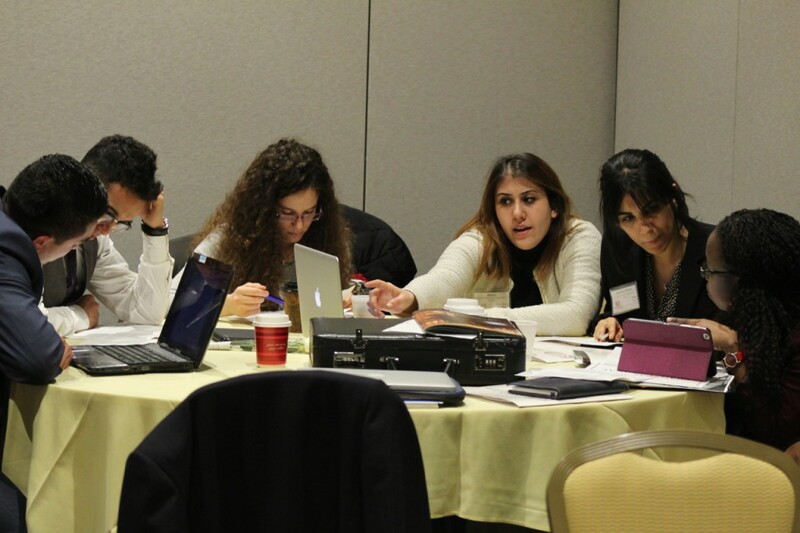 Delegates are assigned to organizations after registering for the conference, in which they specify a preference for which NGO they would like to represent. Bruzgule and her team takes this into consideration, however if six delegates request Oxfam the director must decide a way to split them up so each group can be fairly represented. Each year the list of NGO’s is reconsidered so that it can match both the needs of the conference committees, as well as delegate inclinations. The least popular groups are normally removed, while those that have been observed as engaging and popular as added. With each organization comes a specific influence the delegate can hold, which is helpful during committee sessions as they discuss with members attempting to write resolutions. In the event that a NGO delegate doesn’t see any correlation between a committee topic and their group they may speak with Bruzgule, and her team, in order to find a place that is a better fit. This flexibility is included so as to ensure that delegates get the full experience of the committee, and are able to gain as much as possible from their involvement.